Running out of ideas for quick, tasty dinner options to serve on hectic weeknights? If you’re like me, the last thing you want to do after a busy day at the office is spend loads of time in the kitchen cooking an elaborate multi-course meal. During the work week, my goal is to serve a tasty dinner that's ready to eat in 30 minutes or less. 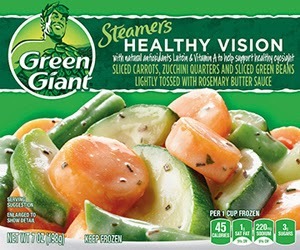 Green Giant Steamers to the rescue! These handy frozen veggie blends make it totally easy to transform hectic weeknights into delicious, quick dinners. 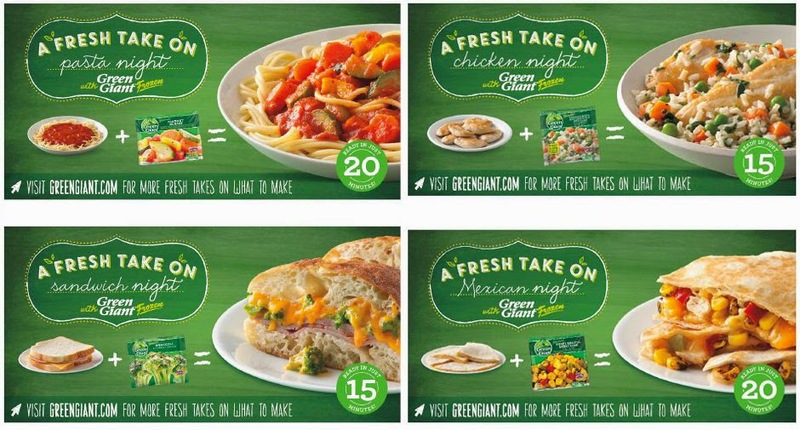 With Green Giant Steamers, all you need is a microwave and a few minutes to transform your favorite go-to weeknight dinners! Take Pasta Night for example. Instead of having plain jarred marinara sauce and pasta, simply add Valley Fresh Steamers Market Blend Vegetables. Voila – you’ll have Spaghetti Veggie Bolognese in no time flat! You have a completely new take on a classic dish by simply adding one healthy new ingredient. Green Giant Steamers offer a variety of sauces and seasonings, as well as some unique veggie blends. Some varieties even include rice or pasta too! You can enjoy the convenience of steaming vegetables in your microwave in only minutes. With delicious flavors like Broccoli & Cheese Sauce and Honey Roasted Sweet Corn, you can come up with a ton of quick-cook dinner options. For my 15-Minute Chicken and Veggie Couscous Skillet, I used Steamers Healthy Vision blend. It features carrots, green beans, and zucchini in a tasty rosemary butter sauce. Couscous cooks in just 5 minutes while the Steamers packet does its thing in the microwave. Simply add chopped pre-cooked chicken and sprinkle on a bit of feta, and dinner’s ready in about 15 minutes! You read that right...15 minutes!! Wait until you see how simple this flavorful skillet is to make. Step 1: Cook the couscous mix according to the package directions, adding the sliced shallot. While the couscous cooks, prepare the the Green Giant Steamers according to the package directions. Step 2: When the couscous is cooked, give it a quick fluff with a fork. Add the Green Giant Steamers and chicken breast. Stir well to combine. Sprinkle the crumbled feta on top. Serve the meal directly from the skillet. That’s it! Quick-cook ingredients let you have this big-flavor skillet dinner on the table in a matter of minutes. The couscous was perfectly seasoned with garlic, olive oil and shallot. The rosemary-infused butter sauce from the Steamers provides another layer of seasoning to the dish. 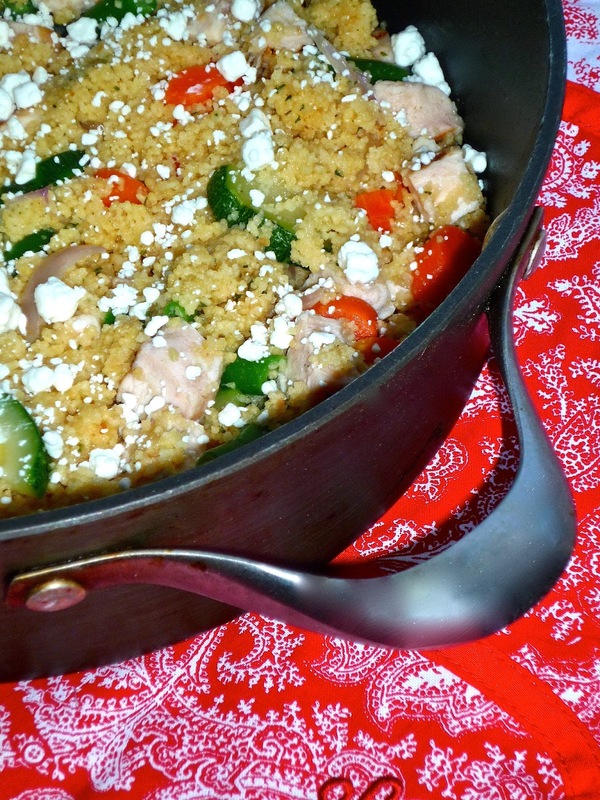 The feta adds a tangy, salty flavor profile that works perfectly with the couscous and chicken. This is a filling dish that no one will believe you pulled together in less than 30 minutes. If you want, that can be our little secret! Disclosure: Information and a Green Giant prize pack have been provided by General Mills through Platefull Co-Op. All opinions expressed are my own.